Miracle Method: Should This Industry Leader Refinish Your Tub? Who Is Miracle Method Anyway? Home renovation is about giving your house a new lease on life, and typically it is all about solving problems related to functional needs. Window replacement, vinyl siding, and laminate flooring are classic examples of ways that homeowners can rehabilitate their homes more easily and cheaply than the complete tear-out-and-replace method. Bathtub refinishing offers up a tantalizing promise of getting a sparkling new tub, without the pain and cost of the tear-out-and-replace method. The problem is that the idea of bathtub refinishing tends to leave a sour taste in the mouths of many consumers—even though they may have little basis for this perception. Miracle Method, a franchised surface restoration company based in Colorado Springs, Colorado, is working—whether intentionally and unintentionally--to combat this perception. Started in 1979 by Bob Gray, purchased in 1981 by Chuck Pistor, Miracle Method has forced its way to the top of the surface refinishing industry in the last several years. We spoke to Don Dominick, Director of Marketing, at Miracle Method corporate, about Miracle Method’s success path so far, and about its short-term strategies to capture the surface restoration market. 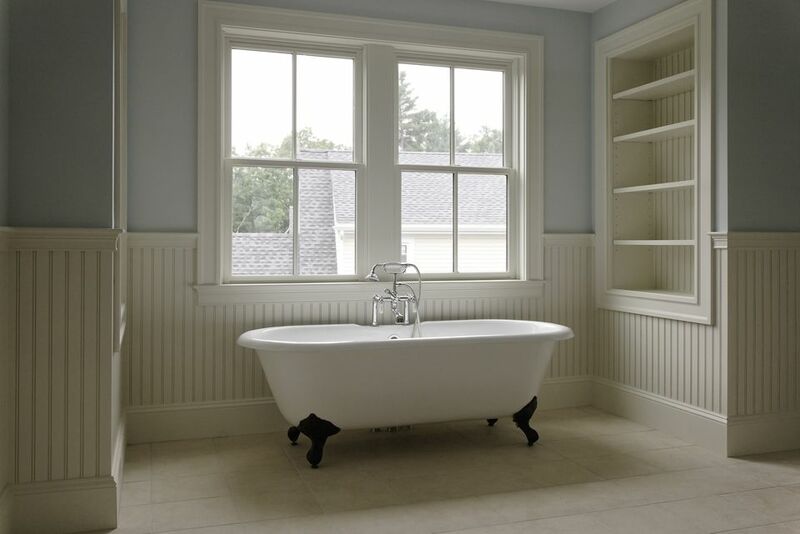 As a note, even though Miracle Method and similar companies engage in many types of surface restoration, we will generally refer to it in this article as “bathtub refinishing” because that aligns with most consumers’ expectations. In one sense, Miracle Method has been forced to carry the ball for the entire surface restoration industry, in terms of combating negative perceptions. Says Dominick, "When you are a leader in the industry, you have to take on that role." Despite Web backlash against the tub refinishing industry as a whole, Miracle Method does not sink to the level of combating this by familiar guerrilla marketing tactics, such as deflating the offending search rankings. Miracle Method will simply correct whatever problem the consumer encountered that caused the complaint in the first place. One method of accountability is Miracle Method’s participation in the third-party rating group, RatePoint.com. At RatePoint, consumers can leave unvarnished reviews of their experiences with different companies, including Miracle Method franchisees. The difference between RatePoint and something like RipOffReport.com is that RatePoint gives Miracle Method the chance to have their say and to resolve the problem. One criticism of RipOffReport has always been that it is unfairly balanced on the side of the angry consumer. Unlike the Better Business Bureau’s laissez-faire, low-accountability approach, RatePoint is somewhere in the middle. Even though businesses on RatePoint can mitigate criticism (out of 225 reviews for Miracle Method's Colorado Springs location, the lowest rating is four stars out of five), visitors to the site are at least allowed to read the actual customer reviews. Should Miracle Method Offer Bathtub Liners? One perennial question for the consumer: refinish the tub or reline it? Miracle Method's Don Dominick notes that at one point Miracle Method did consider entering the tub liner market. CEO Chuck Pistor even presented this issue at a Miracle Method conference. The response? Overwhelmingly negative. At that point, Miracle Method decided to table the idea of entering the tub liner market. But the worst part is the problem of water incursion. Since bathtub liners have a void between the liner and the tub, that void might invite water incursion. As the saying goes, "Water seeks its own level." With bathtub liners, we might change that to say, "Water seeks spaces under tub liners." Approximately 120 Miracle Method franchisees are spread out across the United States. There are a number of areas entirely lacking Miracle Method representation at this time, Mississippi, Louisiana, and Arkansas, in particular. But most dense urban areas are well serviced by Miracle Method; the San Francisco Bay Area is one good example, and the Minneapolis/St. Paul Metro area, with four franchises. Independent refinishing shops, unconnected to any other kind of large organization, also operate in most localities. Dominick stresses that Miracle Method has in place a structure that keeps franchise owner-managers focused on the business of surface restoration. A company that runs any franchise operation needs to maintain standards because, as Dominick puts it, "Work done in Seattle can impact work done in Phoenix." One method of maintaining standards with Miracle Method is to require owner-managers to attend training at either of two facilities in Sacramento, California or Corpus Christi, Texas. These intensive training sessions, which run for 10 days, 10 to 12 hours per day, bringing the owner-manager and one employee up to speed with Miracle Method processes and standards. Also, three training workshops per year allow franchise owners to bring in technicians for method and procedure updates. What Happens to Sub-Standard Miracle Method Franchisees? The best indicator of whether a franchise operation is working is if they have ever "fired" a franchisee. In more than one case, Miracle Method has pulled the rug out from under a franchisee who has not been maintaining quality. In one case, Miracle Method received too many complaints about a particular franchisee, so they sent a representative there to resolve the issue and to help the franchisee review their practices. The franchisee did not take Miracle Method corporate’s comments under advisement, and so Miracle Method disenfranchised them. Probably the best question to ask, regarding franchised Miracle Method shops versus the independent shops: Has any independent bathtub refinisher ever fired itself due to low-quality standards? How Much Does Miracle Method Cost? Miracle Method’s Don Dominick, as a point of reference, estimates that a base-level tub refinish in Seattle, Washington, might range about $425-$450 (this figure is variable, depending on many factors, and should not be taken as an indication of a set price). So the question is: Cheaper than what? Bathtub refinishing does tend to be less expensive than bathtub liners. Without a doubt, bathtub refinishing is vastly cheaper than the full tear-out-and-replace method. Other than the materials involved, the full tear-out-and-replace method involves costly and messy demolition. One interesting fact to note is that a large part of Miracle Method’s business comes from commercial refinishing. Hotels and property management companies contract Miracle Method to restore their tubs, showers and sinks en masse. Dominick notes that roughly 60% of its work is residential, 40% commercial. In one instance, at the Port Orleans Hotel in Orlando, Florida, a Miracle Method crew refinished 20 bathtubs per day, using the leapfrog method: one worker doing all the prep work, the next worker doing all the spraying, and so on.